Arguably, we should not need to do anything new in order to use social media correctly. The very words, “social” and “media” have been part of what we intuitively do as people and businesses for so long that the very suggestion that we should need some kind of ‘training’ in order to properly use social media, sounds ridiculous. In 2011 we saw one social media disaster happening after another and this year it has been much of the same. The paradox here is that these “disasters” are the result of actions taken by very clever people, working for professional organisations. The issue here is neither smarts nor professionalism. What is at play is something altogether more subtle. 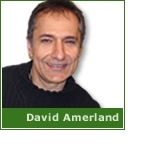 Having sifted through dozens of case files David Amerland has picked and presents 2011's top ten social media disasters. From Blackberry's spectacular social media disaster to Virgin America's Twitter PR fiasco, he covers ten instances which taught us something crucial about how social media should and, most importantly, should NOT be used. 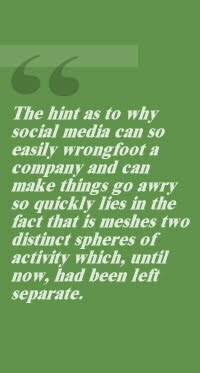 The hint as to why social media can so easily wrongfoot a company and can make things go awry so quickly lies in the fact that is meshes two distinct spheres of activity which, until now, had been left separate: the personal (social) and the professional (media). Individuals can easily be social and they have to be personal. Companies can easily project a message through traditional media and they have to be professional. Throw the two together and you get the kind of interaction you get with Potassium and water. While in their natural states both go about their business without problems, when mixed, things have a tendency to explode unless some control is introduced. Control, seems to be the opposite of how social media environments operate. Yet, control is also what’s required in order to generate the confidence necessary to use social media successfully at a business level. Developing a social media mind, requires the identification of the parameters which are important to a business, first and then developing the metrics necessary to assess their impact and fine-tune their use. It sounds simple, but it becomes so only after the dynamics of social media marketing are analysed in direct relation to a particular business vertical. At SynaptIQ+ we deliver the exact mix required to enable the creation of a business framework in social media marketing which can be implemented in a controlled way.